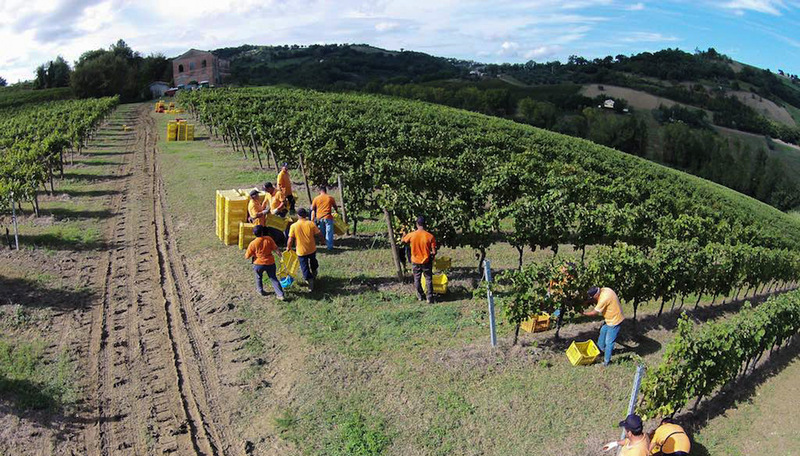 Grape picking is one of the most important working phases for us. It is entirely carried out by hand just like it used to be when the winery was set up. 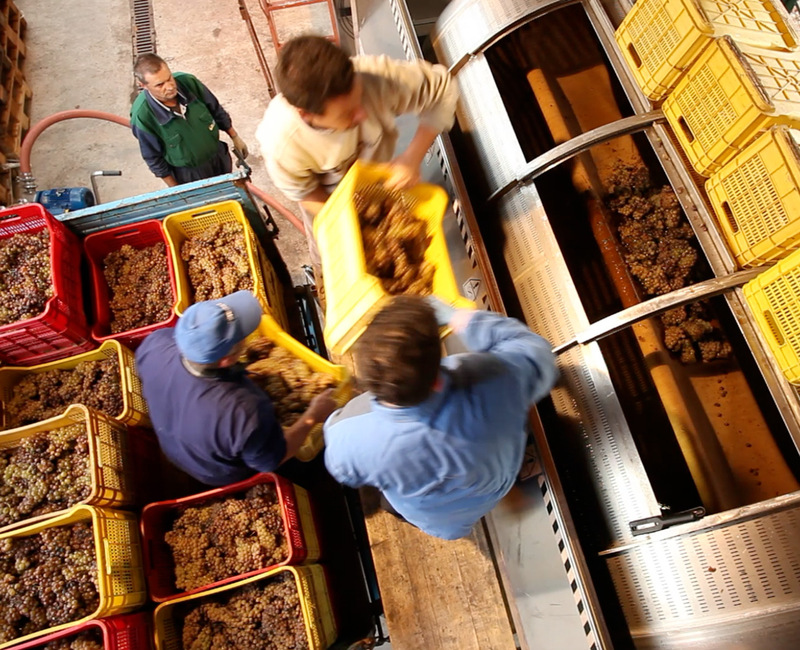 We choose a different way of hand-picking based on the kind of wine we are harvesting the grapes for. For “Sartarelli Brut” and for “Sartarelli Classico” the grapes are carried in carts, instead for “Tralivio”, “Balciana” and “Sartarelli Passito” we use small crates of 15 kg each to carry the grapes to the winepresses. From year to year it is fundamental to choose the right harvest time and harvesting stages. “Sartarelli Passito”: harvest at the middle of October in 2 or 3 stages. If we had to choose just one single word to describe the vinification of our grapes, we would definitely choose this one: “simplicity”. Simplicity means simply “care”, being scrupulous with timing and techniques. At first the grapes are softly squeezed by horizontal membrane presses, then the must is immediately pumped into stainless steel tanks where we separate the lees before fermentation. After the extraction of the lees, we add the yeasts and that is when the fermentation process starts. This process usually lasts from 15 to 20 days at a constant temperature of 18-20°C. 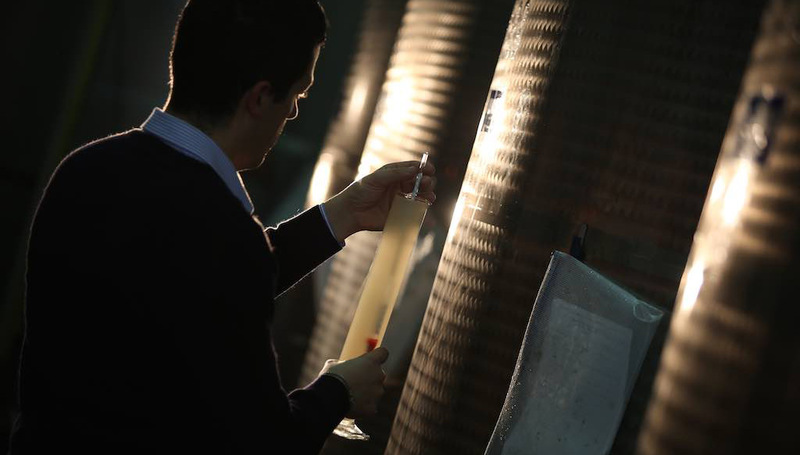 At the end of the fermentation period, decanting is carried out several times in order to clean the newly formed wine. Both the vinification and the refinement processes take place exclusively in stainless steel tanks at a constant temperature lower than 18°C in order to avoid wine alterations. 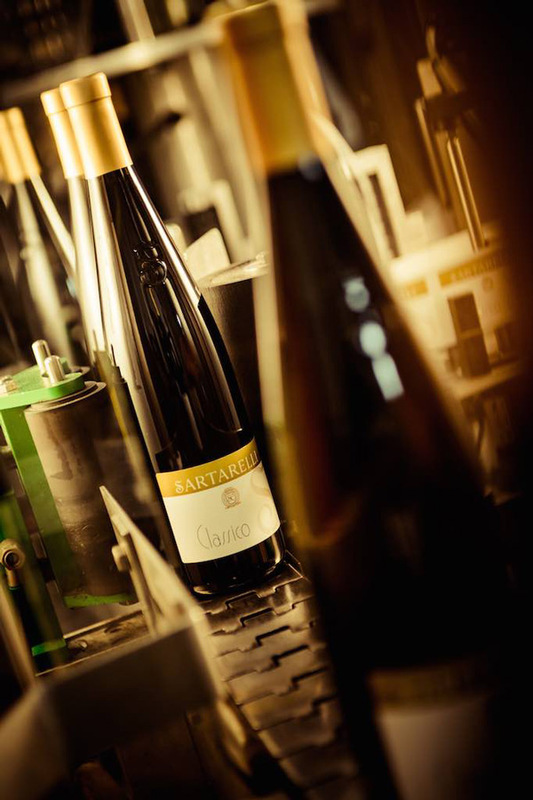 Afterwards, bottling begins at different times depending on the wine produced: “Sartarelli Classico” is bottled in the period from March to June, “Tralivio” in May and June and then the other wines until the new harvest starts. After bottling the wine is properly stored in our air conditioned warehouses at a temperature of 16°C. Managing the vines with respect for the environment is extremely important for us, since the ripening and the choice of the grapes are the pillars to obtain the best quality wines.